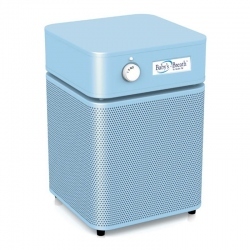 Austin Air Allergy Machine Junior HM205 Air Purifier is a compact version of Austin Air Allergy Machine HM405 air purifier for smaller areas. Austin Air Allergy Machine Junior HM205 delivers the same air filtration efficiency and air cleaning performance on a smaller budget. When to Use Austin Air Allergy Machine Junior Air Purifier? 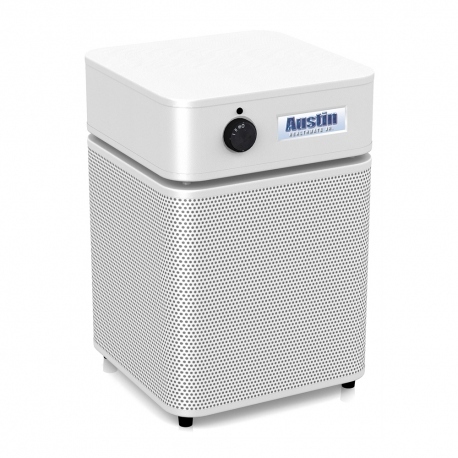 Use Austin Air Allergy Machine Junior HM205 air purifier to maintain the allergen and dust free environment and help allergy and asthma sufferers breathe much easier. Austin Air Allergy Machine Junior HM205 works best in areas up to 375 sq. ft. The Allergy Machine Junior's long-lasting True HEPA Filter traps from the air over 99.97% of all microscopic airborne contaminants down to 0.3 micron in size. True HEPA is the industry standard particle filter that provides a superior protection from microscopic airborne contaminants. This includes: mold spores, plant spores, pollen, house dust mites and debris, lung damaging dust, pet dander, bird feather dust, microscopic ash particles in cigarette smoke and smoke from wood burning stove, etc. Chemical an Odor Filter in Austin Allergy Machine Junior contains the Lightweight Cloth-embed dust carbon HEGA - "High Efficiency Gas Adsorption." 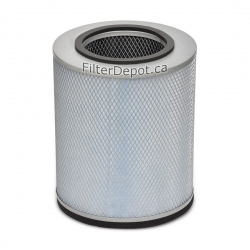 The HEGA carbon filter has a fast rate of adsorption for wide variety of regular chemicals and odors. However, due to a smaller amount of adsorbent used, the overall adsorption capacity is lower than for 6.5 lb. carbon canister in Austin Air HM200 HealthMate Junior model. 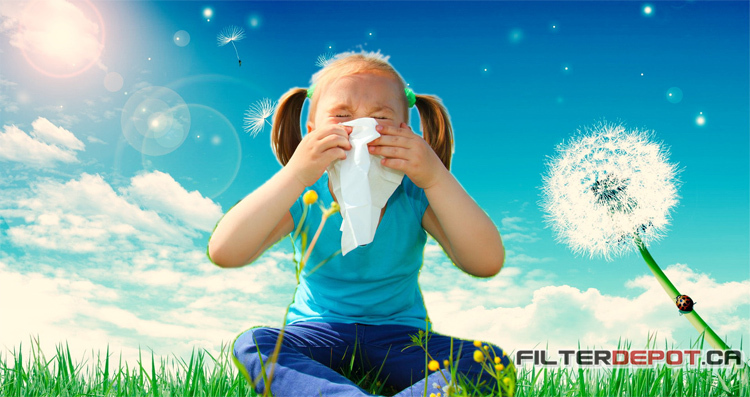 Therefore, the HEGA carbon filter in in Austin Allergy Machine Junior may get saturated sooner and may require more frequent filter replacements. At the same time HEGA filter makes the Allergy Machine Junior HM205 about 6 lbs. lighter which makes it easier to carry it up and down stairs when needed. As in all other Austin Air units, the True HEPA filter and Activated Carbon filters in Austin Air Allergy Machine Junior are combined together in One Filter Assembly. The whole filter assembly needs to be replaced when either True HEPA or Activated carbon filter reaches the end of its lifetime. Austin Air Allergy Machine Junior Motor Fan Assembly. 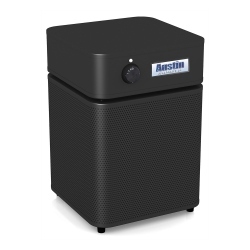 Austin Air Allergy Machine Junior air purifier employs powerful, energy efficient Motor/Fan unit rated at 200 CFM (open air). Austin Air Allergy Machine Junior Durable the All Metal Housing. Austin Air Allergy Machine Junior features durable, impact resistant the all metal housing design. Austin Air Allergy Machine Junior Manufacturer's Warranty. Austin Air Allergy Machine Junior air purifier comes with a comprehensive limited manufacturer's warranty. Austin Air Allergy Machine Junior Shipping Options. Austin Air Allergy Machine Junior air purifiers are shipped FREE of CHARGE by Ground service to all Canadian and US customer from the closest warehouses located in either country. Austin Air Allergy Machine Junior Other Charges or Fees.